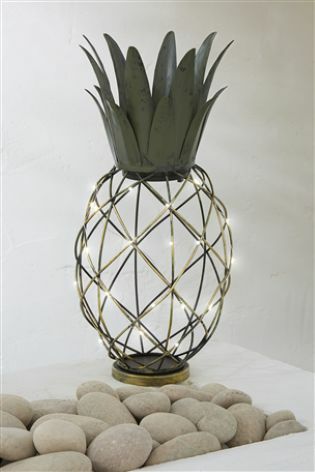 It appears that retro, kitsch pineapples are not going anywhere, and that you are still buying them for your home. 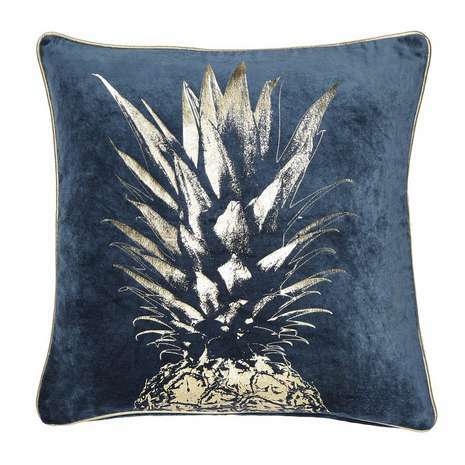 I love a pineapple, and as any vintage fan will tell you, pineapples have always been fashionable in our homes! 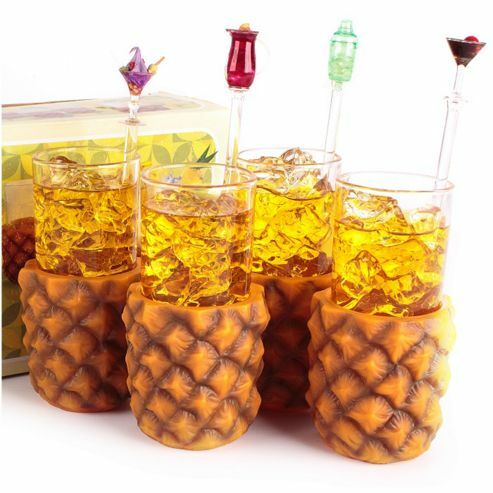 I have scoured the internet to share my favourite pineapple vintage style homewares with you, all that would look fab on my recent upcycling tutorial to make a drinks trolley. 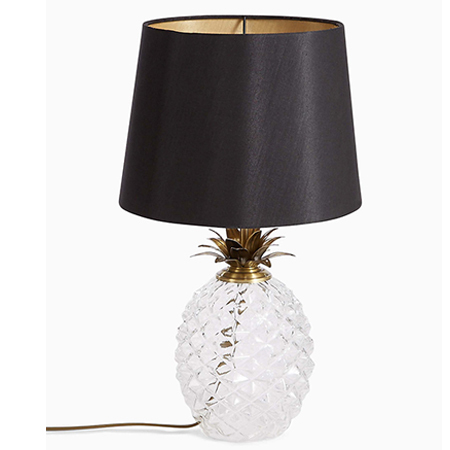 This table lamp has a grown up pineapple feel to it, reminding us of the 1920s! And it is in the sale! Buy it here. 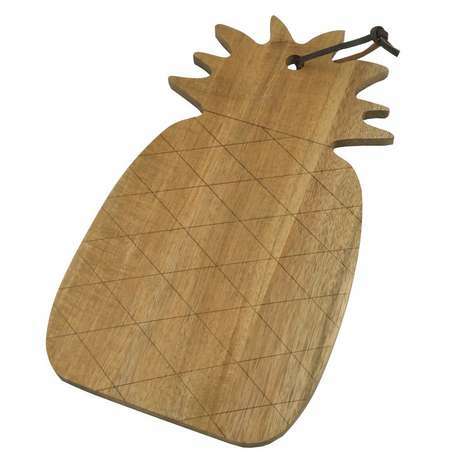 Dunelm have a few pineapples that I love. This cushion has an air of glamour with its dark shade. Buy it here. 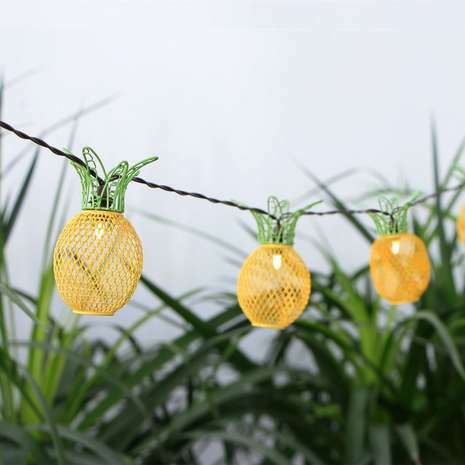 These string lights would be great for outside in the summer but also in your kitchen! Buy them here. 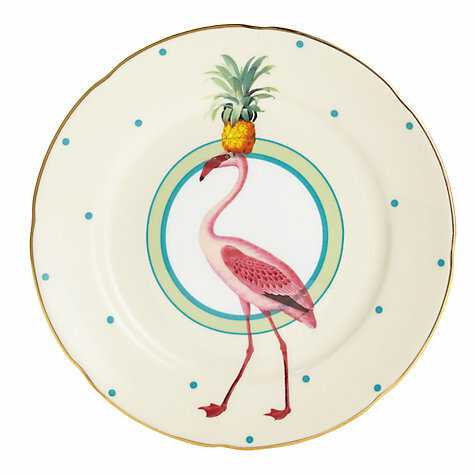 These cake plates designed by Yvonne Ellen are glorious! And with a kitsch flamingo thrown in for good measure. Buy them here. 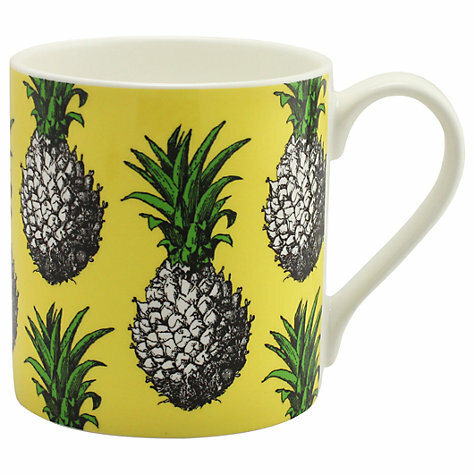 For anyone hanging those Dunelm lights in their kitchen, then you need this mug to match! Buy it here. Indie brand, Woodchip and Magnolia create the best wallpaper. 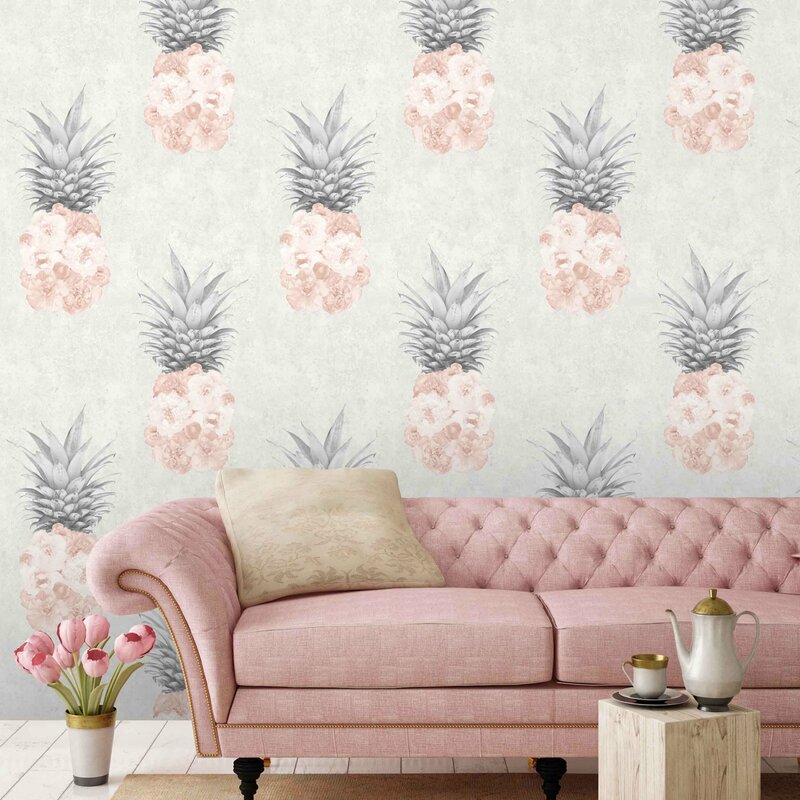 Their pineapple one in blush pink doesn’t disappoint. Buy it here. 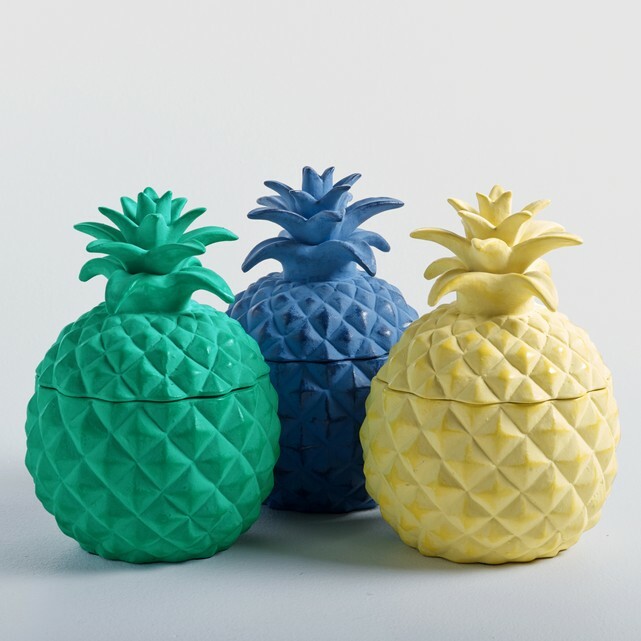 These pineapple pots come in three funky colours and are made from terracotta. Buy them here.